Find the full story here – I could think of a few people to send this SMS to if only it were true! 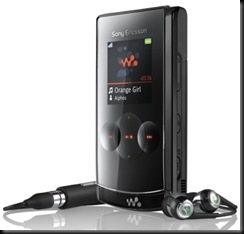 Speaking of SMS I have a new Phone the Sony Ericsson W980 a Walkman style phone (for the music minded person in me). Here is a page from Sony Ericsson all about the phone and it’s features… For me thought it has great sized buttons, you can take OK pictures and hear and talk to people and SMS with ease. Flip style is something I really like as it protects both the phone and any random calls. All in all I am very happy with this phone! Having been using it for the last 3 weeks, it has taken me sometime to change my SMS technique (the space button is the # not the 0 as in my other phones). And I am still getting used to some of the functions but I can see this becoming my new best friend – as most of my phones do – and I enjoy using it. Which is something that I cannot say about my last phone an LG… craptasic!